Denise Gardner Winemaking services wineries “east” of the Rocky Mountains, crafting superior quality wines with intention and momentum. As a part of the DGW Community you’re provided with a list of guaranteed services, specific to your needs. As the client, you know exactly what your membership is paying for and have less to worry about in terms of consultation fees. Membership packages are described in the following table. Details and pricing available up request. † Travel fee inclusion subjected only to the number of guaranteed site visits per calendar year. Not looking for a comprehensive membership package? No problem! 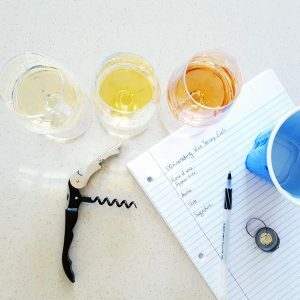 Check out the Darn Good Winemakers: a convenient online winemaking coaching service offered through DGW.